+ Amos Yong, professor of theology and mission and director of Fuller Seminary’s Center for Missiological Research, remembers how growing up with a brother with Down Syndrome expanded his views on the nature of healing. He suggests new ways congregations can approach healing practices without marginalizing people with disabilities. 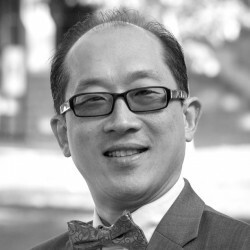 Amos Yong is director of the Center for Missiological Research (CMR) and professor of theology and mission in the School of Intercultural Studies at Fuller.